BLACK EMERGENCY MANAGERS ASSOCIATION INTERNATIONAL: Homelessness. Emergency Crisis. When JAIL becomes a homeless shelter. Homelessness. Emergency Crisis. When JAIL becomes a homeless shelter. Jails are at the local level in town, cities, and counties. Must be monitored for corruption, human trafficking, slave\inmate labor for commercial purposes, and other abuses. Consider abuses and inmate labor following the U.S. Civil War, Reconstruction, and Jim Crow laws. In recent years, King County, Washington, has been converting unused government buildings into housing for its growing homeless population. It set up a family shelter in a health center, for example, and built cottages at a warehouse. But the latest conversion is more unorthodox: Seattle will soon shelter at least 100 members of its homeless population in the West Wing of the county jail. The plan fits into the broader efforts by the city and county to address their homelessness crisis. Today, more than three years after Seattle declared a state of emergency, over 11,600 people are experiencing homelessness there, comprising the third largest homeless population of any U.S. city. 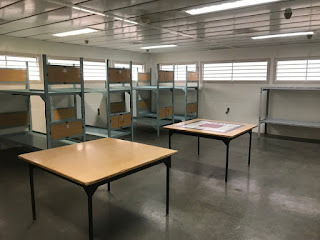 The county jail is one of at least eight unused government buildings or land sites to be used as a shelter or resource center, and while many homeless advocates and experts agree that it’s not a systemic solution, it is a bold and perhaps extremely overdue approach to handling some of the most urgent effects of this crisis. “It doesn’t make sense to leave these sorts of facilities idle in the face of a described crisis that we have in our region,” said Mark Ellerbrook, director of King County Housing and Community Development. But opening a wing of the jail to those experiencing homelessness has come with its own set of obstacles, and has raised concerns about the moral and ethical implications of bringing together two parts of the community that are already too often linked. The county is on track to open the facility in early 2019. In November, the council approved $2 million to convert the facility into a shelter, and $4 million to cover operating costs for the next two years. 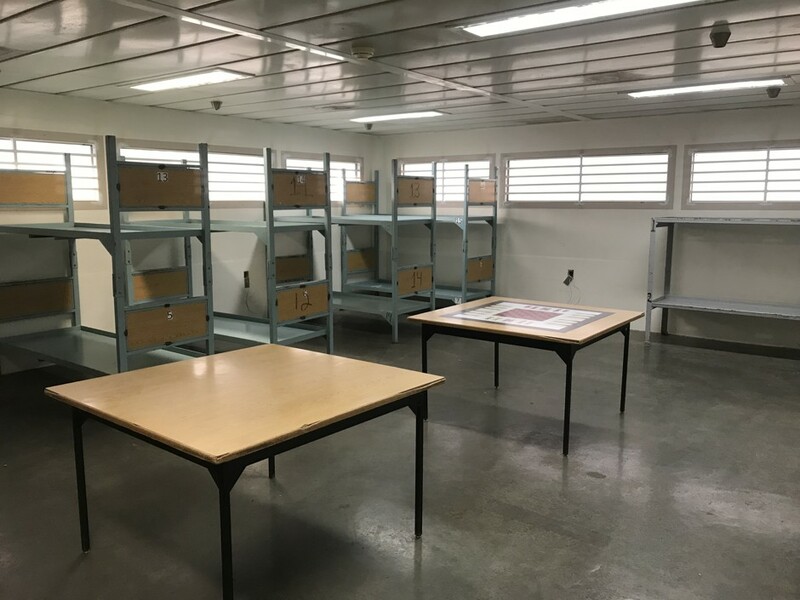 Located in downtown Seattle, it is expected to operate for at least two years as a 24/7 shelter for adults, and provide case management, housing navigation, and meals for residents. “If I have the opportunity to ensure a warm, safe place for even one additional person, I have a moral obligation to act, and I will,” said King County Executive Dow Constantine in an October press release announcing the transformation of the jail. Until 2012, the West Wing of the King County Correctional Facility had been used to house minimum-security inmates. Although there are no individual cells, there are bars on the windows and an opaque film that make it impossible to see out. The building has showers, but they are in a large room, so there’s no privacy. And although it has a separate entrance from the surrounding jail, the door is centrally controlled, so visitors need to be buzzed in and out. Ellerbrook said the county has been looking to modify all of these things for logistical purposes—residents will be free to come and go in the shelter, so a centrally controlled door won’t work—and to make it feel less like a detention center. But no matter how many panes of glass or partitions are put in, this facility won’t be able to get rid of the very real fact that it was used as a detention facility and remains part of a jail. Even as an effort to mitigate a desperate problem, a symbolic link between homelessness and incarceration echoes a troubling reality. In the U.S., about 15 percent of incarcerated individuals were homeless right before entering a detention facility. As much as half of the people who are homeless have a criminal history, and often those offenses are non-violent and related to being homeless, like trespassing and public camping. The startling links have become so apparent that some have taken to characterizing the U.S. penal system as the nation’s largest homeless shelter. “This is a really, really charged image of placing people who are experiencing homelessness in a facility that is part of this haunting optic,” says Sara Rankin, director of Seattle University’s Homeless Rights Advocacy Project, which conducts research and analysis on homelessness. There is also some concern about who the jail shelter will be able to serve. Alison Eisinger, executive director of the Seattle/King County Coalition on Homelessness, said although shelter in government buildings is a positive step, by putting it in a jail, King County could be cutting down on the groups of people—especially the most vulnerable groups—that will feel comfortable living there. Ellerbrook said county officials have made an effort to listen to homeless advocates and address their concerns, and have acknowledged that this is not the ideal location for a shelter. But they have also spent years looking at available, county-owned facilities and “what we have left, quite frankly, is this facility,” he said. Seattle’s homeless numbers have also reached such concerning levels that there is no doubt once this facility is up and running, it will fill up. Until a comprehensive solution to the crisis is found and implemented, perhaps that is the most important fact right now.